ArKaos, digital media specialist and leading provider of real-time visual processing technologies for the entertainment industry … enjoyed a busy and successful Prolight+Sound 2019 exhibition in Frankfurt. 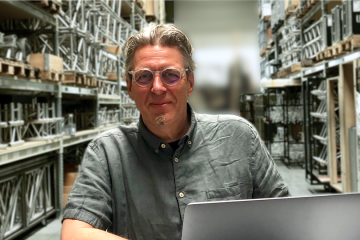 The Belgian company was at the heart of all the buzz and excitement surrounding the new Hall 12, together with a dynamic mix of lighting and visual technology manufacturing and service companies. ArKaos demonstrated all its latest products including MediaMaster v5.4, Kling-Net, PRO DJ LINK – a project with Pioneer DJ – and its powerful new 4K media servers. 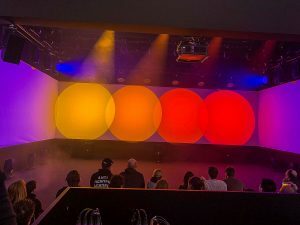 Several leading lighting manufacturers used the potential and massive flexibility of ArKaos’s Kling-Net protocol to run and demonstrate the versatility of pixel-fixtures on their stands, including Robe, Claypaky, Elation, JB Lighting, Music & Light, and more. Kling-Net is a revolutionary plug-and-play control protocol developed by ArKaos for the quick and easy operation of current and future LED fixtures and lightsources. It allows the distribution of real-time video data to remote display devices – like LED fixtures or LED panels – over Ethernet, adding some ‘intelligence’ with the automatic configuration and connection of display devices to a computer. One many unique Kling-Net features that is not available in other protocols is that the fixture sends its pixel configuration to the media server. If for example a luminaire has 20 x LEDs arranged in a circle, MediaMaster will map video perfectly over these without asking the user to encode the order of the pixels. 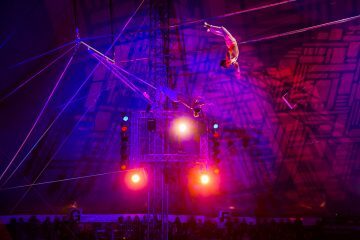 The Robe stand featured an all-encompassing live performance show concept with 7 dancers and a specially composed soundtrack which ran 8 times a day. 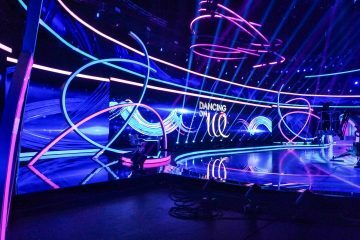 Lighting and production designer Nathan Wan utilised Kling-Net to control 36 x Robe Spiider LED wash beams. 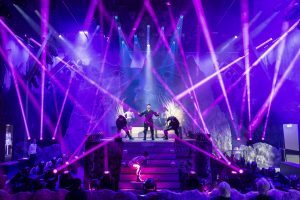 This proved a neat and expedient solution for a complex show which featured over 300 moving lights. Both Claypaky and JB Lighting recently announced that they have integrated Kling-Net into some of their newest moving light fixture ranges – the HY B-EYE product line from Claypaky, and the Varyscan P18 hybrid, Sparx 18 LED wash beam and Sparx 30 twin zoom LED wash beam from JB Lighting.